Published: Nov. 25, 2018 at 10:44 p.m.
Pittsburgh Steelers kicker Chris Boswell finds his offensive tackle Alejandro Villanueva for a 2-yard touchdown on a fake field goal. Published: Dec. 11, 2017 at 12:05 a.m.
Pittsburgh Steelers kicker Chris Boswell makes a 46-yard field goal attempt. Published: Dec. 5, 2017 at 12:06 a.m.
Pittsburgh Steelers kicker Chris Boswell delivers game-winning field goal as time expires. 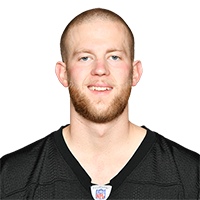 Published: Nov. 26, 2017 at 11:47 p.m.
Pittsburgh Steelers placekicker Chris Boswell make 53-yard game winning field goal.